"I retrieved the garments you wore during our life in Egypt. I kept them preserved beneath the Sphinx's paw, inside an inter-dimensional chest." What do I say, I'm so completely overwhelmed, and pleased beyond measure. "Thank you...thank you, my lion man." 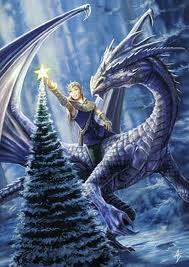 "Merry Christmas," he heartily booms. "Happy New Year's Eve to all those on Earth. To you, my ever beloved," Dhuroth purrs. He wraps his giant warm arms around me from behind, enfolding me closer. "Another year of extremes on Earth," I say, and caress his arm. I feel so cherished as we stand before a screen with a picturesque and fantastic view of Earth. "Many of the mighty evil ones will fall this coming year of 2013 on Earth," I continue as an intuitive knowing sweeps over me. "Yes, and Mars will become known to many as a populated planet. Those who have the eyes to see, and the ears to hear this truth." "But not because there will be any global announcement." "Most likely not, as the future unfolds at this time, my Sh’raka. However, for discerning Earthers knowledge and wisdom will prevail over the evil ones' dark-ages deception. "Oh, I hope so. I so hope so for the sake of peoples' everywhere." Happy New Year's Eve ~ Love, the dawning of a new era arrives. Now, Truth Tellers become the heroines and heroes of our time. Mind-to-mind communication or mass consciousness spreads, and this fifth dimensional 'WILL of the people' becomes a tsunami as the year, 2013, progresses. The year, 2012, has been an epic battle between GOOD and EVIL. The year, 2013, will be an epic battle between LOVE, THE HUMAN HEART and THE RISE OF THE MACHINE MENTALITY. The Power of Defending Yourself and Others becomes a worldwide movement. The Brutal Hammer of Censorship versus the Rise of the Individual and the freedom of expression. Now Comes the War on Romance versus the Rise of the True Romantic and the Heart-centered Life. On the personal front, The Year of the Individual, the beloved eccentric becomes the new norm for many, as people break out of their dogma-induced fog. This new 'individuality' will begin in your life this week in subtle ways, and accelerates throughout the year. Also, this week is about changing and/or improving your career, or where you devote most of your energy. Opportunities will abound to make these key changes in your life. So, take advantage. On the paranormal front, The Year of the Unexpected and Expected. This will be a BIG year for all things paranormal, supernatural, and miraculous. Many of us will begin having 'visions', and will be able to guide others in the upcoming times of tribulation and mass AWAKENING. Plus, Bio-Clones based on human genetics are already here, and are mostly a tool being used by the nefarious military industrial complex. Look for the continued news storied about genetic advancements. Here 'they' come, more fleets of UFOs, especially in South America. Contact has been established with a few people already. This will be an ongoing process. Project Blue Beam, a fake alien invasion and/or contact, could be rolled out within the next six months by the military industrial complex crowd. Whatever is hyped in any way around the ET progenitors of humanity will be FAKE! On the economic front, The Year of Righteous Anger arrives, and becomes a wildfire as the implosion of the economy continues. The final downfall of the dollar teeters on the precipice. However, likely the plug will NOT be pulled quite yet. Simultaneously, the real economy begins to revolve around guns, bullets -- anything related to weapons -- and soon becomes the new underground currency. This will occur gradually over the upcoming year. Out of this return to a viable gun culture, now rises a new America spirit. Also, a new prosperity will be generated that will benefit most of us in the long run. On the truth front, The Year of the Aquarian Truth Teller is here and cannot be stopped. This will happen at every level of society -- from your personal life to revelations on the world stage. With the cosmic vibes of the Winter Solstice 2012 Stargate now inundating Mother Earth, 'truthtellers' will be loudly vocal this coming year. For, these frequencies will not tolerate anything else, but TOTAL TRUTH. However, a caveat is in order. Most of the deceivers, the corrupt, the wrongdoers in the top power positions won't be changing their evil stripes anytime soon. Instead, these soulless ones and their dark-sider minions, are making their final diabolical moves. At this time, these anti-humans are going for broke against the people. Unless Divine Intervention occurs, it's going to get very, very ugly. Realize, dear ones, this sinister attack against humanity can be mitigated with prayer, and with every act of love and goodness you do. On the war front, The Year of Civil Unrest Across the World. The people rise, and say 'no more' to endless wars. Meanwhile, the invasion of Africa by the military industrial complex has begun, with troops being sent into thirty regions at this time. Meanwhile, the Mideast flares up once again, and the horror killing field continues. Meanwhile, the invasion of foreign troops continues as the war against the people ramps up, and disarmament begins. Meanwhile, individual DNA profiles will be used to create more bio-warfare weapons against 'we the people'. "Among the many misdeeds of British rule in India, history will look upon the Act depriving a whole nation of arms as the blackest." - Mohandas Gandhi, an Autobiography, page 446. For, the beginning of massive censorship is here. This will include the 'attempted' shutdown of alternative news, and alternative sites. At this time, freedom of speech is being killed off, minute by minute, hour by hour, day by day by the dark-siders' establishment. This year, as long as 'we the people' put up with it, censorship will bury us. On the AWAKENING front, The Year of the "Aquarian Conspiracy" arrives full force, and becomes an ongoing tsunami around the globe. From the October 12, 2012 forecast: Now, as never before, a synergistic weave of harmonic energies forms between ALL of us. We are creating connections, or what was termed the Aquarian Conspiracy -- a book written by Marilyn Ferguson. Out of this will rise many 'unexpected and unpredicted' developments in the human community worldwide. Most of these changes will be around this evolutionary choice: Do WE choose Renaissance or Ruin? On the home front, The Year of Personal Health reigns large in this year of 2013. More of the people will come to believe it is wise NOT to trust the medical establishment, or anyone in an official corp-gov capacity. This will be due in part, because now 'death panels' become a reality. On the communication front, The Year of Telepathy Versus E-Devices. In truth, we, as Aquarian Age human beings, have the ability to communicate faster and better than with the latest and greatest in cyber tech devices. Our minds connect in a similar wireless way as do e-devices because everything is frequency based. Know this, dear ones, there is no machine, no computer, and no device that is infallible. By their mechanistic, manmade nature every machine, every computer, and every device is always fallible. However, there will be a major propaganda push to make people believe otherwise. Dare 'not' to believe the hype lies that will be forthcoming. On the food front, The Year of Growing Healthy Food is here, and will become bigger than ever. HEALTH becomes absolutely critical at this point in time. And, as more and more of us bypass Big Agra products and the GMO frankenfoods, there will be an ever-expanding market for naturally grown and organic foods. In opposition, the 'GMO Big Agra crowd' will force more of their untested, brought-to-market-via-corruption products on the public. This will particularly affect the children adversely. On the land changes front, The Year of the Bright Sun and Superstorms. Volcanoes, earthquakes, the weather wars, sinkholes, and massive land changes, will continue, and will accelerate during the first part of the year. Also, there will be significant changes in the Earth's magnetic field. Look for the state of California to do a whole lot of shaking in the near future. That is, unless HAARP tech is used to stop these series of earthquakes, or there are other interventions, THE DIVINE being one of them. At this time, sending our good, good vibrations to Mother Earth will eliminate or mitigate some of the bigger catastrophic events. On the energy front, The Year of Off The Grid Invention. Want a new career opportunity? Anything related to safe, off the grid energy production will be in great demand. On the really bad news front, The Year of Super Chaos shakes the very foundation of the old world. This, as the new 'Aquarian Age' world forms from its ashes. Many of the super criminal class have had their day, and will fall. However, as they fall into a hell pit of their own making, the fallout will not be pretty for most of us. This will be especially true when it comes to the economy, from local economies to the global economy. On the good news front, The Year of the Circle of Love. The ever-expanding 'circle of love' will be 'powered up' and stronger each time one of us blesses another -- each time our heart shines, and we send love out to someone, or we embrace the world in general. So, keep the love going and flowing. On the global mafia cabal front, The Year of Exposure is here. As the mighty psychopaths fall in a piecemeal ugly fashion, the people shun them more and more. Thereby, creating society and their lives anew. On the freedom front, The Year of the Turning Point for Human Freedom. Once the war against guns becomes the war against the people, the die is cast, and as before the 'redcoat oppressors' will lose. Trendwise, The Year of the Love and Romance Revolution, so it begins because this revolution lives within the human heart and soul. However, the last thing the dark-side controllers want is a LOVE culture of any kind. In the past, THEY nefariously shut down/co-opted the LOVE REVOLUTION of the late sixties, and early seventies. The new world order regime cannot control a population devoted to LOVE. Thus censorship and social engineering against LOVE will increase dramatically in this year of 2013. This includes romance novels. This includes any book about finding true love, having true love, or living a romantic life of devotion to one other. For, in truth, the dark-side controllers want automatons, or bio robots, who do their bidding when and where THEY want it. During the year, 2013, each individual will make a choice between expressing their human heart and showing love to one other -- or, taking the 'machine mentality' road as in eliminating their human emotions. Thus, becoming zombified. Of course, if you don't choose, the choice will eventually be made for you. This upcoming year, humans and animals will bond in what would have been considered out of the norm ways, but will quickly become the norm. This will include pets, farm animals, and wild animals. Also, on the wondrous front, whales and dolphins will be seeking more ways to communicate with humananity. The time has come to reestablish this ancient and loving connection. This week of the New Year 2013, take it easy, and simply enjoy life. Enjoy the companionship of those you care about, and love the most. This will begin the new year with the right loving vibrations. Warning!!! The global elite [New World Order] does not want *you* to read this book. See ~ Powerful Dreams at my Kougar Kisses blog. World weary and worn out, the incarnated angel, Sedona, who believes she is merely human, has three choices after her old van breaks down. Let the Nazerazzi squad of the North American Union capture her and force her into a FEMA concentration camp. Walk out into the Arizona night desert, let the wildlife have a good meal with the hope her death will be quick. Or does she dare trust the mysterious stranger suddenly before her? Handsome as sin and all in black, he emerges out of the darkness. Sedona wonders if the stranger on a superspeed motorcycle is her savior from the brutal endtimes. Or, is he a roving cult member of the New World Order, hunting his next blood sacrifice? It’s only a few days before Winter Solstice, December 21, 2012 ~ The end of the Mayan Calendar. Sent from heaven to help Sedona save humanity, Zerr Dann knows the Divine is playing its last card on Earth. He also knows Sedona is about to find out Christmas miracles still exist. Author Discovery by BookStrand author, Lindsay Townsend. Branded by the Texans ~ IN PRINT ~ A Siren-BookStrand Bestseller! Kandy Apple and Her Hellhounds ~ What happens when two of Hades’ most mission-accomplished Hellhounds find just the right witch for Halloween? ~ Ebook and In Print. What woman doesn't love seeing a big, strong man with a child in his company? Some women experience a rush of satisfying emotions—from warmth and compassion to yearning and desire. Meet a big, strong man capable of shelving his rough and tumble persona to care for the little one of his love interest-to-be. Mike Masterson is a tall, dark and ruggedly handsome cowboy trucker who owns an independent trucking company. He possesses all the tools necessary to come to Veronica's aid in Cutie and the Cowboy Trucker. Enjoy his compassionate and touching interaction with little Sam. He noticed how she searched out her surroundings. Mike concluded Veronica realized she could police their activities from her current position when she moved to let Sam out. Mike knew without a doubt that order was for him. “We will.” He hustled Sam through the maze of tables with a protective hand on his shoulder. The sight magnified Veronica’s loss as she watched them until they entered the bathroom. Her son would grow up minus the most important influence in a boy’s life—that of a father’s supervision—unlike Troy, who was practically grown when her husband died. Veronica revisited treasured memories of when her family was intact. Ramon was involved in every aspect of Troy’s life. He was eighteen when that dreadful diagnosis of lung cancer plunged his father’s health into a spiraling downslide. Ramon fought hard at living his life to the fullest, although immense discomfort racked his body. Veronica pried herself out of the past at the prattle making its way over to her. Mike dwarfed Sam’s little animated body as he steered him toward her with a hand on top of his head. Her mind tunneled back in time, once more. Sam had been the best medicine for Ramon. Veronica could still see the amazement on Ramon’s face when she told him she was pregnant. He held on to life, until Sam was just about two, before quietly slipping away. The wrenching pain visible in Veronica’s eyes affected Mike. He had seen her morose look clearly from across the room. He wanted to know its cause, but realized her sharing wasn’t an option. Mike marched Sam back where he belonged and stood guard over the two. “You what?” Veronica’s voice charged the air. Veronica slid out with the tickets and her hand in her purse. “My treat,” Mike announced while reaching for the receipts. “No, Mike, thank you.” She walked away to approach the register. She looked down at Sam, who latched on to her hand, skipping along to keep up. Soon, he had Mike’s hand, too. “Watch this, Mama!” He used the bond to race up a step and swing between them. What was that, that flow of electricity when Mike touched her? Her eyes fused to his gleaming gold wedding band. Click here to read the thrilling first chapter! I hope you had a good Christmas yesterday. I hope you spent time with loved ones, and ate too much turkey and had too many sweets. Christmas is, after all, a Feast day and it does only come once a year. I really hope you feasted well. Dinner yesterday at the Ashbury household was a simple affair. It was just the two of us and our daughter—and her three Chihuahuas. Grandpa puppy enjoyed visiting with the grandbaby puppies. Yes, that is how my daughter talks to and of them and us. The puppies all adore their grandpa, of course. Mr. Ashbury is a very soft touch when it comes to the animals. We finished all of our running around before Christmas Eve. In a change of pace, we had breakfast out on the 24th with our son and his family. Our two oldest grandsons have schedules that keep them busy, and it’s hard finding time when they’re available to join in family gatherings. At 19 and 20 they’re becoming adults and beginning to build their own lives. Our son said it was the first time they’d had both boys join them out for breakfast (which they like to go out for quite often) in a long time. They’ve grown up so fast! But then, so have my own “children”, who aren’t children at all. Of course, at this time of year, I always find myself remembering those earlier times. My mind fills with images of Christmases past. I think my favorite photograph is of my pajama clad babies, sitting on the stairs, vibrating with excitement as they wait for the word to come down and see what Santa brought. Mr. Ashbury and I would have made it to bed quite late on Christmas Eve, something I’m sure most of you can identify with. The rule for Christmas morning was that the children were to wake us up and then let us go downstairs, and make our coffee. Then we would take our places, cups in hand, first sips ingested—and only then call them down to rip into their bounty. This was all, of course, so that we could be awake enough to fully enjoy Christmas morning through their immense and boundless joy. It’s inevitable that as you get older, you look back on the life you’ve led with a regret or two coming to mind. One thing I absolutely don’t regret is the Christmas mornings we gave our children. Though times were tough and our means were spare, everything went into giving our children the best Christmases we could. That involved a lot of sacrifice, and a lot of post holiday bill scrambling and balancing—we never used credit cards, but we did sometimes put other things off—so that we could give our children generous Christmases. Not for anything would I have had them understand the harsh realities of life as it was until it became their time to do so. Now, of course, we have no small children in our immediate family. Our youngest grandchild is 10. It’s been a long time since we’ve experienced that particular kind of magic at Christmas, watching children’s eyes light up and go wide with joy. Our Anthony once told us that the presents we gave him weren’t all that great, but Santa’s were always awesome! I didn’t mind that one bit. These days, we content ourselves with giving quietly where we don’t get to see that joy, but we know it’s there—and that’s enough. And we visit with family and friends, ever mindful of how lucky we’ve been, and continue to be, in the things in life that really matter the most. Mr. Ashbury and I wish you all the very best in the coming year. We hope it will be the best year, ever! When inspiration becomes a tidal swell, I say, "Journey through the Winter Solstice Stargate, and enter a profound realm where the dreamer brings forth the dream, the most desired of dreams. It is this act of creation that will make the real 'difference' in our precious world. For, those who dream splendidly will bring about an Aquarian Age paradise for one and all." "And, so it is. And, so it will be," my lion man decrees in his irresistible purr. "It's Christmas Eve on Earth, my Sh'raka. How shall we celebrate?" "How about a blazing fire in the hearth, lots of goodies to nibble on, and warm drinks as we cuddle together, and give thanks for the blessings of this past year," I say. I think my summary is pretty good, yet turn as I hear the amused rumble of my lion man. To say my eyes pop open wide, is to do a disservice to how wide my eyes actually are as I stare, utterly astonished, at Dhuroth dressed up like an odd, but handsome version of Santa Claus. When I find my tongue, and as he approaches, I ask, "Is there something about Santa I should know...that I don't?" "Ah, the history of the Claus is long and convoluted, as I discovered in reading the Etheric record." "Some of it not so nice, if I'm remembering some of the ancient origins." "True, my one. However, I am quite nice. And I have brought a bag of goodies." Dhuroth does a lion-like 'ho-ho-ho' as he lowers the smallish brown bag bulging with something. "You'll have to settle for my kisses as gifts, because--"
His gaze silences me. "Your kisses are treasures. Each one." With a flourish he opens the bag, and I move close peering inside like an eager child on Christmas morning. I see glistening fabrics threaded with gold, silver and copper. When Dhuroth lifts the first garment, and presents it. I feel entranced by the turquoise sheath, and simply stare. Christmas Eve 2012 greetings, most Beloved Ones on Mother Earth. During this week of celebration and good tidings, look for the wonders in your life, and the signs of wonder around the world. For, with each passing moment, the divine miracles increase. Now, LOVE takes center stage as never before during the Piscean Age. Your ability to open your precious heart, to feel love toward others, and to receive their love increases tenfold during the coming year, 2013. You need only be aware that you are being assisted by the good angels. You need only know the good, good cosmic vibrations are pouring down upon you -- on all of us -- like a gentle and constant rainshower. In opposition to these good vibrations, the dark-side continues their brutal conquering of the world by increasing their acts of evil. The next two weeks their berserker rage against humanity becomes obvious to many more of the people, and they take action. On the AWAKENING front, Arrives the Aquarian Connection. This is about the natural mind connections forming between us all, and becoming ever stronger at this time. This collective 'will' of humanity now becomes the social revolutionary force that will create and form the future of this new age. 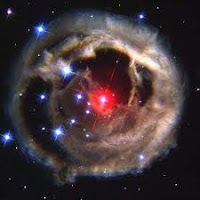 The Aquarian Connection is also about the ability to recognize consciously, our telepathic communications with each other. In reality, mind-to-mind communication has always happened between humans, and also with animals. However, telepathy has been walled off in varying degrees for most of us. Heart-to-heart communication accelerates, as well. The powerful energy of our feelings, our emotions, will develop alongside the advancement of our mental capabilities. Distressingly, the dark-side 'new world order' crowd is using many heinous methods to stop these natural mind and heart connections between us all -- including toxifying the water, air, and food. However, the faster each one of us WAKES UP to the reality of telepathy, the more rapidly the dark-siders will be overcome. Then, we the people will soar high, and bring forth a renaissance paradise for ALL. On the personal front, this is a turn-the-corner week for most of us. This means whatever you plan for, whatever decisions you make, will turn the key of the future in a larger way than usual. This open-window vibe is for home, career, and relationships. So, be on your toes, and watch for opportunities. This is also the week to keep the home fires burning. Or, home is where the heart is, where the heart lives most beautifully and freely. On the paranormal front, once again the many cryptid creatures who have kept themselves hidden, will be emerging. Also, with several Earth timelines now merging, creatures from other Earths will be showing up. 'Some' of them will be what are known as prehistoric animals. This joining of timelines includes plant life as well. Of course, this will not be an overnight occurrence, but one that is gradual yet surprising. This week, look for more news, and personal reports, about odd or spectacular meteors and asteroids. Of course, UFOs will continue to fill the skies in many areas of the world, especially Mexico and South America. There will also be many more reported sightings of angelic looking beings during the next several months. This will actually be a variety of beings -- some of them guardian angels, and other good angels of assistance. However, inter-dimensional beings, extraterrestrials, inner-terrestrials, and beings from fae realms will be more easily seen, given the veil between the worlds is becoming ever more transparent. On the economic front, as the economy continues to limp along on crutches that are about to break apart, more folks will fall by the wayside. Smaller businesses, dependent on prosperity, will fall like dominoes. However, ingenuity, inventiveness, and real smarts, will become the province of the people once again, and the burgeoning underground economy will grow in fits and starts. This, despite every despicable act of the bankster gangsters to stop it. As has been stated before, returning to the land, and becoming farmers and ranchers -- and/or setting up a business that supports an agrarian lifestyle, is the wave of the future. This will include artisans, and the arts such as music, dance, and painting. In the coming weeks and months, there will be a major push by the 'new world order crowd' to move humanity toward a cashless society and a one-currency system. Cyber-hacking will be one method used by the bankster gangsters to force their will on the people. Out of this rises the renegades, who will battle back ferociously, and win key battles. On the truth front, to obscure the blazing LIGHT OF TRUTH we are now ALL immersed in on planet Earth, the dark-side cabal will use black arts' sorcery and their advanced technology to engineer THE GREAT ILLUSION. Or, down is up, and up is down. The mass hypnosis of humanity which is called the 'mass media', now becomes merely the trickery, deceit, and lies of ILLUSION. Demonization of the good guys and gals will be bigger and badder than ever. For, this is the only way THEY will be able to continue their sinister rule. On the war front, now comes a new direction in the world war against humanity. Disarmament. That is, China and Russia have stated they will supply troops to disarm Americans. Are the Swiss next, given their population is more heavily armed? On the tyranny-at-work front, now comes the sneak attack against the people by the new world order crowd. More tear-your-heart massacres are planned here, and around the world. On the home front, the time of 'real men' begins once again, as a way to combat tyranny. This will also assist in the ascendancy of the 'feminine' energy. From the prior forecast: "Along with the Thunder Dragon energies, the rise of the Goddess Nature becomes obvious at this time. This rise in the feminine force will show up as both wrath and compassion. Goddess wrath against THOSE who harm and murder innocents. And goddess compassion for the truly innocent, the truly good among us." On the food front, the Frankenfish lives, and dies for your dinner table. It will be discovered in the near future that this genetically engineered species brings only death. Not life. On the land changes front, worldwide the weather becomes more catastrophic as the sun grows in strength and brightness. Thus, Sol more strongly fuels Mother Earth in her natural changes. Likely, wind speeds, in general, will double for the coming year, 2013. Earthquakes will continue at a rapid pace. Volcanic eruptions spew more and more ash into the atmosphere. The oceans warm from underwater volcanoes, and from the increased flow of magma. Meanwhile, the weather wars tear the precious atmosphere apart, and damage the cycles of the planet. On the energy front, lies, and more nefarious lies will be told about 'peak oil', and about the 'supposed' scarcity of energy. On the really bad news front, the dark-siders are planning to drive another stake through the heart of the Christmas holiday season. Be aware, and mentally prepare. Pray for Divine intervention. On the good news front, the real spirit of freedom soars to new heights, and seizes the world, the grip tighter than ever before. This week, many more will catch the liberty's fever, due to the ever-tightening reins of tyranny. On the global mafia cabal front, many on the dark-side are regrouping, and looking for other strategies to keep the people beneath their grinding boots. This is because the people, who have not yet been zombified, are WAKING UP at hyper-speed. On the freedom front, the AWAKE people will not be denied, and will protect their freedom by purchasing necessary weapons. Long lines now form at gun shows and gun stores. Trendwise, cities as the center of culture begin to fall away, as more of the people move into an agrarian lifestyle. At this time, the 'wealthy' leave urban centers en masse. As well, many of us now run to the hills, away from the draconian-ruled cities. Also, this trend continues: from a previous forecast on July 3, 2011: "Around this cosmic ‘Awakening’ there will be joy, a celebratory dance of joy. Tempering this dance, will be the pain of chaos and confusion, and constant war. For, massive CHANGE is here and will occur at lightning speed for the next several years." As well, from the forecast on April 22, 2012: "The forthcoming week in this Year of the Dragon, is all about the acceleration of this 'massive CHANGE'. This means each individual, the psyche of humanity, society at large, and including the Earth. Be prepared. We are entering a period of hyperdrive that will be a confusing blur to many. At this point in time, there will be unprecedented levels of chaos and cruelty. This is because the age of deception and betrayal by governments, by 'evil doers' who control those governments, is coming to a close, and the battle between Good and Evil rages. Know that 'truth' is winning. Currently, truth at the speed of light circles the world." This week, Beloved Ones, take moments to cherish the miracles in your life. Take even longer moments to cherish those you love. And, take time to celebrate this holiday season as your heart truly desires. If you are a parent, or a grandparent, if you know a child, or a person who works with children, you could not help but be deeply affected by the tragic events of this past Friday. How do we explain this sort of a tragedy? How can we possibly comprehend it? We understand, at least academically, that there are people in this world who are mentally ill. We understand there are those whose minds do not work the same as a ‘normal’ person’s, as yours or mine. We know they are sick, and that for whatever reason, their sickness has gone uncured and untreated and perhaps even undetected. Although I am a Canadian and my history and my precedents are different than those of my neighbors to the south, I still understand the principle behind the U. S. Constitution’s Second Amendment. I understand that this Second Amendment is sacred, and taken as literally as if it were a part of scripture by many people. I understand that and I respect that. But as a parent, as a grandparenet, I say, there has to be a way to mesh those rights with laws that will protect innocents from the illegal, immoral and lethal acts of other people. There has to be a way to protect the rights of the many while ensuring the few do not have access to weapons, especially weapons that were only designed to kill a lot of people in a few seconds. There has to be a way to protect our children. For they are all, every single one of them, our children. There has to be a solution to this problem so that future generations will only know of such horrific tragedies by reading about them in their history books. Consider all that humanity has accomplished in just the last century alone. We have put a man on the moon, and even successfully conducted heart transplant surgeries, for God’s sake! We should be able to solve this—this problem of our own making. The loss of a child, no matter how it happens, no matter the age of the child, is a loss too horrible, too hard, to bear. It is a loss from which no parent ever fully recovers. Losing your child is something you never, ever get over. There is a hole in your heart that never closes, and an entire chapter in your imagination, entitled “what might have been” that can never be written, or known—and yet it’s a chapter that can never be closed up and put away. Such a loss is undoubtedly more tragic when the child is still small. I remember my own kids at those ages: actually my eldest was 10, my second son 5 and my daughter was 4 all in the same year. Those are years of wonder, years of learning to read, of making friends, of beginning to participate in sleep-overs. They are years of cartoons and best friends and singing along with your favorite songs on you tube. They are years of writing letters to Santa, and getting excited because Christmas is just around the corner. For each parent who is now in mourning, my heart breaks. There are no words we can offer you to make it better. We can only pray. We can pray that you receive strength and hope from the Comforter, and that in time your memories will be more sweet than bitter. We can’t do anything to heal your heart. Only God, and time, can do that, and only to a certain degree. As I said, that hole will be there, forever. But the day will come when there is more joy in remembering than there is sorrow. And maybe, if we can all work together, if we can be open and honest and leave politics and hyperbole behind, we can find a way to prevent some of these tragedies from ever happening in the first place. Maybe we can give you, and ourselves, and the society in which we live, the gift of hope. 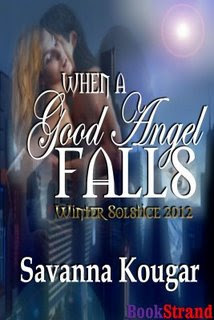 Quite a few of my romances take place at Christmas-time, or over the Yule-time period. Why is that? Because Christmas is a time for families, for gifts, for beginnings, for magic. Here are my Romances at Christmas. 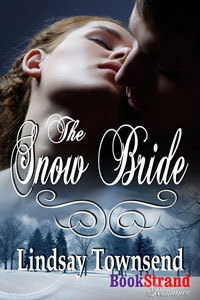 'The Snow Bride' is another historical romance. Christmas is fast approaching in this medieval tale of stolen brides and romance. Magnus and Elfrida must find them before the winter Solstice, the darkest time of the year. If you fancy an 'older' kind of Christmas and Christmas celebrations, have a look at my 'Flavia's Secret'. This historical romance and mystery also has a climax during the ancient Roman Saturnalia - their pagan version of our Christmas. My heart trips the light fantastic at Dhuroth's words. Something in me 'knows', yet I ask, "Gateway?" "Through you, this gift of light is transformed. Those on Earth are better able receive this sacred energy." Staggered, I have no words, just a tumble of disjointed thoughts. "Am I doing it right?" I finally ask. My lion man rumbles laugh. "Just right, my one." I immerse myself in the golden cosmic light, and simply remain in a state of being. For how long I don't know. Time meets itself, unwinds and winds again. Ticktock, I think. The cycles of the universe are like a windup clock... in a way. "Time collides with itself, explodes, fractures, and flows anew," Dhuroth solemnly intones. "Yes," I murmur, feeling it. I watch the golden radiance spiral from me, and embrace Mother Earth. The love within my heart embraces each and every worthy being who lives on the blue marble planet. When inspiration becomes a tidal swell, I say, "Journey through the Winter Solstice Stargate, and enter a profound realm where the dreamer brings forth dream, the most desired of dreams. It is this act of creation that will make the real 'difference' in our precious world. For, those who dream splendidly will bring about an Aquarian Age paradise for one and all." Welcome the Winter Solstice 2012 Stargate. The countdown continues toward the 'magical mystical tour' portal known as Winter Solstice 2012 -- coming to all of us this Friday, on December 21, 2012, the date heard 'round the world. Finally, the Aquarian Stargate is here. From this point forward, there will be major changes in how we function/operate as human beings. Now we become more heart-centered, and this will radically transform society. However, this will be a gradual process. Also, a cosmic upgrade in our DNA has been occurring. From a previous forecast: "Currently the cosmic energies inundating the planet are, once again, triggering our genetic code, and raising our vibrations. We are becoming WHO we truly are. And WE are formidable beings, far beyond what we imagine." This DNA upgrade will continue at blast speed. Over time, 'as has also been forecast' a lot of what are called paranormal abilities will be activated to a much higher level, and become the norm because in reality we are Super Beings. Now fast and furious -- like evil-hearted dragons -- the dark-siders battle back against our Winter Solstice Stargate AWAKENING. With a berserker rage unequaled in written history, 'they' will attack humanity worldwide. Be as prepared as you are able, mentally and physically. For, this onslaught is meant to break our will, break our hearts, break our collective backs, break our spirits, and break our loving connections with each other. On the tyranny-at-work front, from the November 4-5, 2012 forecast: ***In opposition, the Controllers now fight back with sinister deeds. For, these evil ones will do *anything* to turn the tide against the human movement for real peace. On the personal front, to celebrate the Winter Solstice 2012 Stargate pay close attention to the details of your daily life, and look for moments of magic. Yes, dear ones, this is the week to draw closer to those who are the beloveds in your life. Look for ways to strengthen your love connection with them, from smiles to compliments, to offering a helping hand. Even though the shifts in vibration will be subtle for many, these new vibes are the power behind the throne of creating your life anew. FEEL them as much as you can, and embrace this power to bring forth GOOD in your life. On the AWAKENING front, remember, now as the stargate opens, the majesty of the Winter Solstice 2012 transition will accelerate. Let yourself open like a flower to receive the good, good vibrations. This will not be easy for some of us, given the dark-side's ongoing attack on life itself, and *their* brutal attack on children worldwide -- the beloved children, who are the epitome of life blossoming forth, ever-renewing itself. Recall also, the cosmic blue majesty of light is here to hold us, hug us, heal our souls, and rejuvenate our spirits. For, we are the Beloved Ones. On the paranormal front, this will likely to be an exciting week for paranormal lovers. Wherever you look, the supernatural is rising, and showing itself off. UFO sightings continue to ramp up, with major events over several cities already occurring, and more likely to follow. Either at the time of the Winter Solstice, or shortly afterward, fleets of UFOs will be witnessed by many. This will be a global phenomena. As well, the dark-siders are planning to fool the people with Project Blue Beam, or fake ET ships that are threatening instead of beneficent. It's all designed to force humanity into a new age of tyranny, brought to you courtesy of the soulless ones. As always, discernment is your friend. There will be clues put forth by the White Hats on what is the TRUTH, and what is not around the ET situation. On the economic front, the picture at this point in time, remains bleak for many. Comes the time of local and community businesses based on real needs, and based on some sound system of barter and trade. Currently, say goodbye to millions upon millions of dollars in the banking system due to ongoing cyber-thefts. This has been one criminal goal of QE, or quantitative easing all along -- stealing the people's money at an unprecedented rate. Of course, YOU, as a taxpayer, if you are, will be expected to makeup this 'shortfall'. So even more wealth can be cyber-stolen. Because that's the big con game of the bankster gangsters, just one of them. Meanwhile, 20,000,000 'million' foreclosed houses are in the country's inventory. So, once again, if there is an empty house with no owner, and you need a place to live, be a squatter for as long as you can get away with it. Those babies ain't selling, and they won't sell in the future, for the most part. The Mortgage business has all been a scam to bring Americans down, ruin us financially, and wipe out the middle class. GOLD will likely go for a wild ride on the stock market in the coming days. Remember, having gold in hand might be a good thing. However, anything written on paper will only be worth the paper it's written on. And scams abound. On the truth front, this will be a super powerful week for truth-telling and truth tellers. The tolerance for lies and deception is waning fast. At this time, the Age of Deception is having its last brutal hurrah. With the arrival of the Aquarian Stargate, and the immersion into these new-age frequencies, the people will be saying NO MORE. From a prior forecast: "this is the week to speak 'truth to power', as the activist saying goes. Truth is a powerful weapon against tyranny, and, in the coming weeks, there will be a huge uprising of people SPEAKING their truths from the proverbial rooftops." On the war front, this week heralds the beginning of the end for the warmongering class. That is, the cruelty of war after intentionally staged war -- of conflict after greed-caused conflict -- will become so abhorrent to so many on the planet, that every action will be taken to STOP this ongoing insanity. However, this will not happen in the near future. Meanwhile, the Mideast remains a tinder box with 'bring-on-the-war' matches constantly being tossed at anything that dares to move. Once again, prayers are needed for peace and prosperity. There is much going on behind the scenes, including the removal of key figures. This is because 'they' have failed to launch 'all out' war. This failure will continue to a degree, because of divine intervention, and the interference of GOOD ET groups. That said, there could be a major event with warships. On the home front, as many make celebration preparations in the wake of the Connecticut tragedy, so comes the realization that life was meant to be treasured, and 'not' given over to the evil side. In these times, what was once GOOD has been sacrificed on the altar of the evil ones. To quote Edmund Burke: "The only thing necessary for the triumph of evil is for good men to do nothing." And, so it has been. This about to change dramatically. On the food front, with the continuing drought, remember to purchase as much extra 'good' food as you are able. For, shortages, high prices, and starvation is one of the weapons the dark-side elite is diabolically using against humanity. On the land changes front, in the days to come, all shake, rattle, and roll 'hell' is about to be unleashed across the planet. With Mother Earth transforming herself, and the ongoing weather wars -- with the sun powering up, and other cosmic influences striking the Earth, strap in for a more than an amazing ride. There will also be more asteroid flybys at this time, far more than what the corp-gov will reveal. However, whistleblowers will be telling all. All you need to do is listen and learn from alternative news sites. On the energy front, with Tesla technology realized, and the tower arrays in place, the potential for 'wireless' energy is here. This energy will be used for several nefarious purposes, as a national/world spy grid, and disguised through new tech devices sold to the people. Meanwhile, outages and exorbitant energy prices will likely be forced on the people. In truth, there is no shortage of cheap energy, regardless of the endless lies and propaganda. Once again, it's all been a gigantic scam. On the really bad news front, the civil war of ideas/ideals continues to split the country wide open. Also, with the huge upswing in insane and violent behavior, due to many factors -- including massive use of SSRI drugs -- greater draconian measures will be 'justified' by the dark powers-that-be. On the good news front, more of us will become the magician-creators as we move deeper into this new age of responsible enlightenment. This is a force the dark-siders will not be able overcome. This week, the good news is friendship, a coming together with others in an ever deepening, even more loving and caring way. These bonds will prove unbreakable during the upcoming turmoil and chaos. On the global mafia cabal front, what is known as Electronic Countermeasures or Aerial Mind Control will be used against the people at a much higher rate than previously. These black-ops technologies, aimed at individuals and populations -- from satellites, aircraft, and drones -- can map the body's unique frequency pattern, then emit a behavior, mind-control frequency. This tech has been used for the remote assassination program, and is now being turned against the American people. On the freedom front, the Warrior Spirit of 1776 is here, and growing rapidly. As headline after headline of atrocities slams against the psyches and hearts of the American people, a new gun and weapon culture rises. Once again, many will realize they must learn how to protect themselves and their loved ones, especially as the economy takes another big nosedive. Trendwise, this trend continues: From a July 2012 forecast: "This week brings the arrival of the Thunder Dragon energies. This means many of us will now AWAKEN to our inner power in a whole new way. Also, we will have the intuitive knowledge of how to use this ruthless and relentless power against THOSE who would destroy humanity and Mother Earth. In opposition to this new power, the soulless ones will cause crisis after crisis meant to seize everyone's attention. Thus, tumult will take over the world stage this week. Along with the Thunder Dragon energies, the rise of the Goddess Nature becomes obvious at this time. This rise in the feminine force will show up as both wrath and compassion. Goddess wrath against THOSE who harm and murder innocents. And goddess compassion for the truly innocent, the truly good among us." This week, journey through the Winter Solstice Stargate, and enter a profound realm where the dreamer brings forth dream, the most desired of dreams. It is this act of creation that will make the real 'difference' in our precious world. For, those who dream splendidly will bring about an Aquarian Age paradise for one and all. This has been a very sad week for my husband. Last Thursday, he awoke at his usual pre-dawn time to discover his beloved dog had suffered a stroke in the night. The poor old puppy could barely stand. He was sick and disoriented, although not really in that much pain. There’s a twenty-four hour animal hospital in the next town, and we were able to get him in immediately. Sadly, the dog was just too ill to save. Mr. Ashbury thought of Rochie (short for Ferocious, which this dog certainly was not) as his best friend. He’d had the animal for most of the dog’s 14 years. Rochie had been born to the golden lab our daughter had, and was a lab-border collie cross. Originally, this black furry puppy with a white star on his chest was our grandson’s. But when the family moved to the next city, the townhouse they rented only allowed them to have one dog. Our daughter announced she would try to find a home for this not yet one-year-old pup and asked her daddy if he could keep the animal here while she “looked for a new home” for him. Ha! I’ll never know why he didn’t see that one coming. Or maybe, he did. You have to know it took practically no time at all for her daddy to offer to keep the dog. Our grandson was thrilled, of course. At four years old, he had been devastated to think he would never see his puppy again. My husband and I both worked at the time, and had to employ a crate for our newest family member during the day time, until he was trained and past the chew stage. That didn’t sit well with our grandson at all, as I recall. You would be interested to know the dog himself was fine with it. He was a very easy-going dog. Rochie grew to be a fairly big canine, and he was absolutely devoted to my husband. He loved to go on walks, and he loved to play with his “Squeaky” toy. He loved his collar and did not like to have it off, for any reason. The only thing he really hated, in fact, was bath time. Every evening when my husband would come home from work, the dog would run around and literally cry with joy. He would pull his leash down from the coat hook in the hall, and would run around the house with the leash in his mouth—always my husband’s end of the leash, of course—until his daddy took the hint and walked him. Rochie would mope whenever the suitcases came out, because he knew his daddy was going away. One time, he even dropped Squeaky into my husband’s open suitcase—a hint if ever I saw one. The dog understood just about everything you said to him, and yet he could not prevent his chain from getting tangled in the back yard, around the same obstacle that had been there for all of the 12 years was chained up in that exact spot. In the last two years we fenced the yard, so he could enjoy the great outdoors without the restriction of metal. Rochie may have growled at the occasional passing dog or human, but he never so much as nipped at anyone. He liked some cats—in the house—but outside considered them fair game to chase, if he could. The only exception to that rule was my daughter’s cat MoJo—who of late is no longer her cat, but still comes to visit us from whichever neighborhood home he’s living in at the moment, nonetheless. MoJo and Rochie loved each other and would often nuzzle. Every Sunday morning when I would make my beloved his big Sunday breakfast, I cooked a sausage link for the dog. If we had hamburgers for dinner, the dog got one too. Daddy would make it for him after we were done eating. If you were wondering, Rochie liked margarine, cheese and sometimes mayo on his burger. His daddy was always Rochie’s first choice for human company, unless, of course there were fireworks being set off in the neighborhood. Then, it was mommy he wanted. When he was still capable of jumping up onto our bed, which he couldn’t do for the last couple of years, he would try to get under me, no doubt trusting me to save him from the pyrotechnics. In the bio that’s posted at the back of my novels, I refer to Rochie as a dog with no dignity, and that was very true. But he had an endless supply of doggy grins, which he bestowed on any and all who would come to the house to visit him, and he had a heart bigger than his eighty pounds. Our pets are truly members of our families, and when they pass, we cannot help but mourn them. And we take time to remember the love and the joy they gave us, and know that we’ve been truly blessed. I have no doubt that my beloved will meet his puppy again at the rainbow bridge. After all, dog, spelled backwards, is God. It strikes me as I keep remembering the experience. "Every animal is sentient. And yet, there is a difference." "There is. It is a choice to evolve on a different path, toward a higher destiny. What would be known as the human path on Earth." "The human path... destiny... Winter Solstice 2012." I say as I suddenly realize... "We've moved forward in time." Stunned, I ask, "How did that happen?" "I am a magician with Time," my lion man explains, a certain smugness to his purring voice. "Is that so?" Turning in his embrace, I study his magnificent face. "Am I supposed to remember that about you?" "Do you?" he asks with an enigmatic lift of his brows. I still inside trying to move past the clouds of confusion that fill my head. "I remember...you promised me we would be together again. At this time, during 2012." "Yes, beloved one. I did promise." Dhuroth regards me with obvious affection, but with some concern. Before my mind's eye, I see a golden light form like a sun inside me. The light expands outward, enveloping me. Why this happening, I don't know. But who am I to deny this wondrous sensation? "It is the cosmic gold of the galactic center, my Sh’raka. You are a gateway." Arrives now the Dragon Queen and Dragon King, as cosmic energies of the universe. Their combined mission against the Dragons of the Evil Ones, is to defend the innocent, and broaden the circle of planetary ENLIGHTENMENT. For soon, we step through the *Winter Solstice 2012* gateway, and into the higher frequencies of the Aquarian Age. Several dynamics will converge this week, and into the next. While choirs of angels sing the 'golden elucidation' into Mother Earth's vibration -- and embrace humanity with their constant LOVE -- land changes escalate to a frightening level across the globe. At this time, your intuition, your 'inner knowing' becomes your best friend in determining how to handle the massive changes bearing down on all of us. As well, it becomes crucial to have caring relationships 'only' with those who have your best interest at heart. On the personal front, this week is likely to be a *Dr. Jekyll and Mr Hyde* experience, a roller coaster ride that could shake you to your core, good and bad. Or, another way of looking at it is: *Check Your Sanity At the Door* because likely you'll be caught up in a whirlwind of events and/or emotions. One feature of this week, will be a purge of unneeded energy patterns, where a lot of us on Earth are still trround and notice this 'grandeur', especially as you observe and interact with Nature. Feel how the Earth Mother is reaching out to embrace you close, and nurture you. Also, 12-12-12 is this upcoming Wednesday. This date is a magickal opportunity to travel inward, and glimpse the dreams you've never known were inside you -- the dreams waiting to be expressed. As well, many will be joining in prayer and meditation to bring forth LOVE, and heighten the 'good, good' cosmic vibrations of this day. On the paranormal front, all things paranormal/supernatural rises exponentially in the awareness of humanity. This will be reflected by Big Media news stories, movies, and programming, because it is unstoppable. However, wherever possible, it will be twisted and co-opted to serve the dark-side's agenda. Of note this week, the ability to be noticeably telepathic will begin for many. As an undercurrent of how we communicate with each other, telepathy starts to become commonplace in the new age. Last week reports of UFO sightings were off the charts. This will likely continue. On the economic front, the theme for this week is: Economic Warfare Against the People. Or, This Financial Holocaust Brought to You by the Bankster Gangster Crowd. With the ongoing slow collapse of the economy, more and more of the people will be forced to owe their souls to the BIG BANKS, and the BIG BOX company stores. Meanwhile, the middle class is being taxed into oblivion. Meanwhile, oil wars, gold wars, and currency wars, now rage between blocks of nations. To fully bring in the new world order, what is termed 'forced debt creation' is being implemented. In simple terms this means 'the people' are being suckered and defrauded -- intentionally turned into debt slaves. Despite the endless promises, there will be no relief from Big Gov, only more pain. As one spiritually aware individual stated, "time to abandon everything gov related." This advice is wise. If you are able to free yourself in any way. DO IT! On the truth front, now comes the rise of the Crystal Children, as they have been called. This young generation heralds the Aquarian Age, and brings in the frequency of clarity. TRUTH for the sake of truth is their very nature. Also, these Crystal Children are gifts, and demonstrate the magic of life for us -- what will one day become the norm for ALL of us. As well, from a previous forecast: "the fierce energy of the dragon drops bombshell after bombshell on humanity, especially if you know where to look and are willing to know the 'truth' no matter what." On the war front, the theme for this week: Ho Hum... More Lies From the Presstitute Media. Once again, the same old, tired playbook will be used to justify the horrors of war. Further, given the wild-card complexities of the war theater in the Mideast, the unexpected will happen. Out of this, the White Hat forces will capitalize to bring about a lessening of the overall violence. Look for anything 'odd'. On the home front, while many prepare for and celebrate the holiday season, hysteria grips 'some' over the cosmic gateway known as Winter Solstice 2012. Also, last week several news stories broke about mysterious booms being heard across the continental US... From the 'prior' forecast: "currently there is a civil war between different factions within the 'shadow' military industrial complex. Almost constant battles are taking place, a lot of them underground. Get ready for more strange and unexplained explosions. This will likely escalate, especially as December 21, 2012 nears." On the food front, the ongoing adulteration of the food supply will dramatically increase. The people will fight back, and the battle is on. Saving the integrity of the food supply will become the mission of many people at this time, and their efforts will be heroic. On the land changes front, during this cycle of time, the sun takes center stage. Sol proves his fiery mastery over the solar system, and this means the earth changes quicken. There will be fiercer superstorms, volcanoes, and earthquakes. Also, volcanic eruptions in the ocean will play a key role. This week, the truth about other celestial bodies in the solar system -- previously kept hidden from the people -- will be exposed in an obscure manner. Meanwhile, the weather wars take their toll on Mother Earth, her people, and her animals and plants. In the near future, the Beneficent Ones will likely take action against 'those' who manipulate weather patterns for sinister purposes. On the energy front, the global cabal who rules with oil, called the 'black gold stranglehold', want to keep humanity imprisoned inside a new, 'dark oil age'. However, the cabal now battles to stop the development of energy device after new energy device. For, enough of the people are determined to be free of their stranglehold. On the really bad news front, the medical system is gradually being gutted by design. In the future, REAL health care won't exist, except for the super rich elite. Essentially, the current generation is paying for its own nefariously 'planned' demise. On the good news front, shamans, healers arise across the world. Now, the natural ways of healing return full force to save the people, and assist Mother Earth. 'Those' possessing gifts of healing will be encouraged by the good angels to develop and use their ability for ALL. New energy modalities of healing are coming forth, as well. On the global mafia cabal front,1984 meets Sky Net. The horrors are here, and expanding relentlessly, like a monstrous spider's sticky web. Beware, take care, and prepare. At this point in history, the renegade spirit in all of us RISES, fierce, radiant, and unrelenting. Renegade leaders come forth from every sector of society. They now challenge the brutal corruption ruling and ruining the whole of our world. This renegade activism, this new culture, becomes absolutely crucial to overcoming the dark-siders, to bringing forth paradise on Earth. We, who stand for the liberation of humanity, rise out of the ashes like the fiery, invincible phoenix. We utilize our soul gifts, our hard-won abilities -- our heart, mind, body, soul and spirit, to ascend beyond any form of tyranny. Trendwise, Passion as a living force begins. The 'passion of the human heart' breaks through, and breaks free. This aspect of our being has been suppressed for the last age. However, now this fierce new vitality can no longer be denied, and eventually this deep-soul passion will be expressed in every facet and aspect of your life. As has been spoken about before, one of the keys to the full AWAKENING of humanity will be the continued disclosure of our hidden heritage, hidden for centuries now. This week look for a large disclosure which 'could' center around the planet, Mars. On the Winter Solstice 2012 front, this week gather in the golden goodness the Divine is sending to us All. Drink in the sacred sweet LOVE that fills every dark corner of your heart -- the LOVE purifying your soul. For, you are the Beloved.